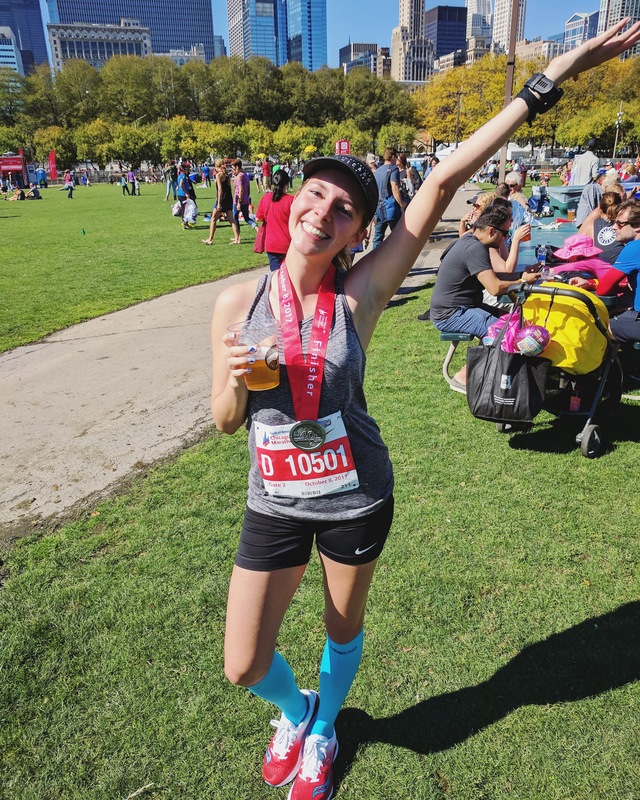 marathoner dale – Page 2 – Ramblings of a girl who runs a lot of miles and drinks a lot of coffee. Sometimes I think back to before I became a marathoner and don’t know what I did with all my free time. Now, I really can’t imagine what my life would be like without marathon training. It’s true that training for a marathon will change your life. Making the decision to run a marathon is never an easy one, whether it’s your first or your fiftieth. 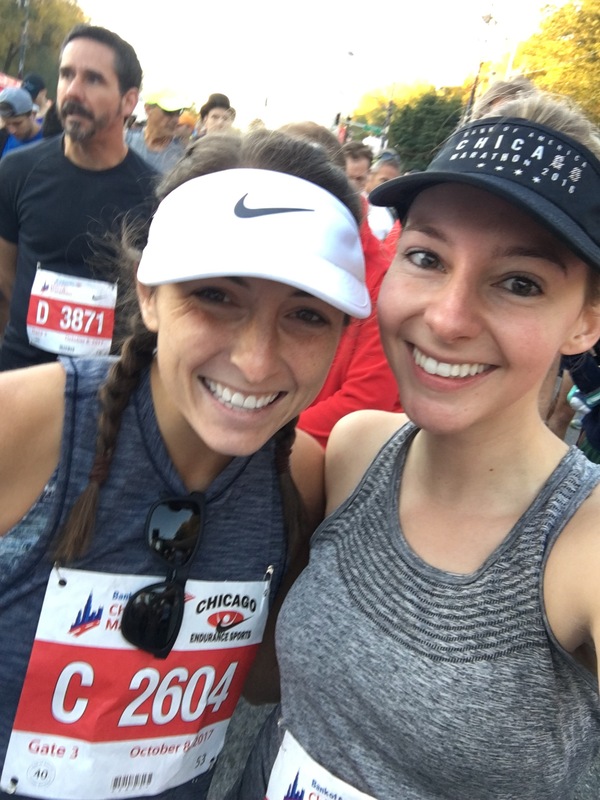 When I first signed up for a marathon I was terrified, but it was the Bank of America Chicago Marathon and I knew I had good things in store. 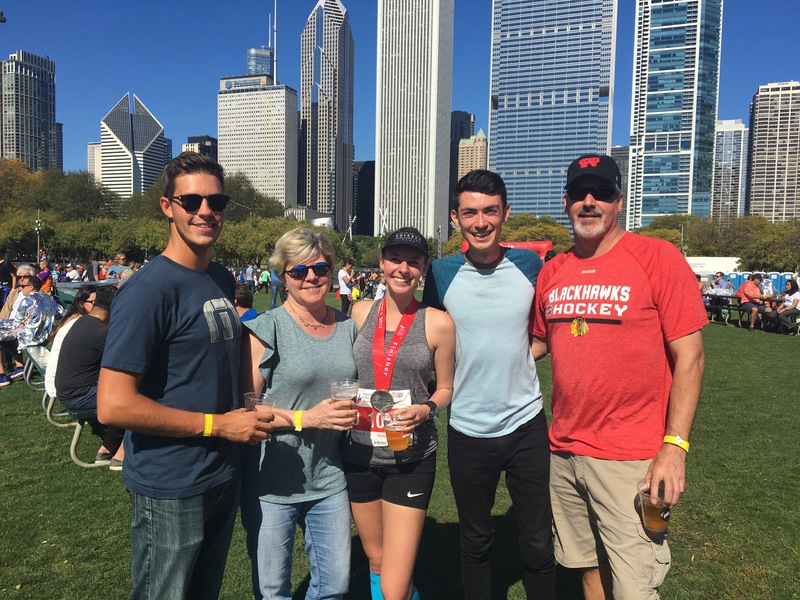 I wanted my first marathon to be memorable (as if it wouldn’t be), but I wanted to run through a city that really meant something to me. Chicago was calling my name. I was in for October 2014. I was scared. I was excited. I was RUNNING A MARATHON. Training was tough, there’s no doubt about it. But I knew I wanted to get to that start line with as much confidence in my ability to run 26.2 miles as possible. That’s the thing about the first, you don’t actually know for sure your body is capable of running that far. It’s daunting. 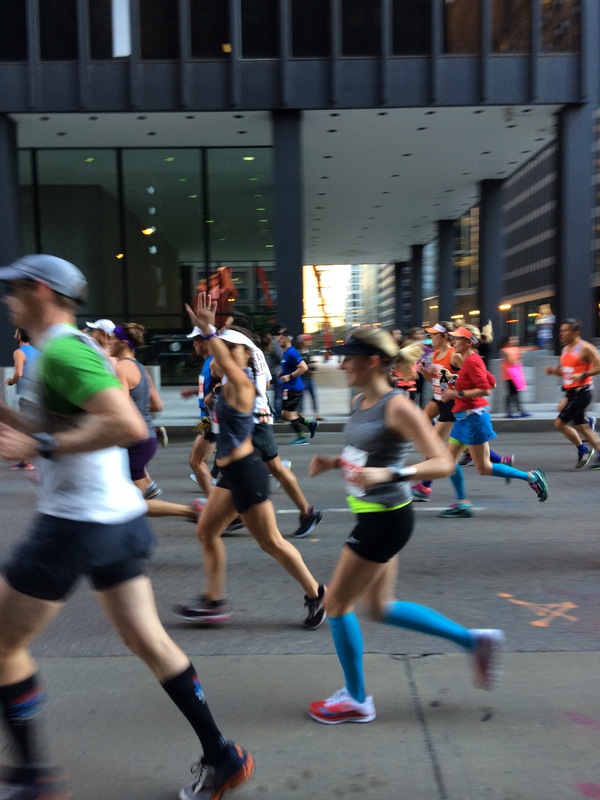 But if you’re running Chicago, you can count on amazing crowd support and beautiful views along the way. I remember a few spots specifically from the first race. I saw my family right past the Board of Trade. I saw good friends at mile 14. I saw my aunt and cousin jumping up and down screaming my name on LaSalle. I was in awe of all the support I had both from people in my life and the supportive strangers. Chicago fans SHOW UP. There is hardly any part of the course that doesn’t have cheering fans. And trust me, that makes a huge difference. I felt strong most of the race. I cried at mile 25 when I realized I was about to finish 26.2 miles. I turned my music off and listened to the shouts as I neared the finish line. I cannot even describe the feeling of elation I had as I crossed that line. The finisher area made it relatively easy to find my family. (I still got a little lost in my daze of confusion that first year). And my Dad had a 312 in hand for me. A Chicago beer for a Chicago finish – nothing beats it. I knew right then and there that I would not be a one and done marathoner. It was love at first finish. My time wasn’t particularly impressive. I was proud of it. (4:13:20). But I knew I could do better. And I knew I would be putting my name in the Chicago Marathon lottery for 2015. Fast forward: I didn’t get in for 2015. I ran for charity that first year and I wanted to alternate my years for charities, so I was hoping to get in through the lottery. But I didn’t. I was super bummed out, so I found a trail marathon the same October weekend I could train for instead. I love trail running and shorter races, but long story short – trail marathons aren’t for me. I may go back for an ultra later in life, but the lack of crowd support really affected me in this race. I missed the Chicago Marathon. 2016: not leaving it up to chance. I signed up to run for the South Suburban Humane Society team. I love the organization and this was the first year they would have a Chicago Marathon team, so it was a good fit. I was in! 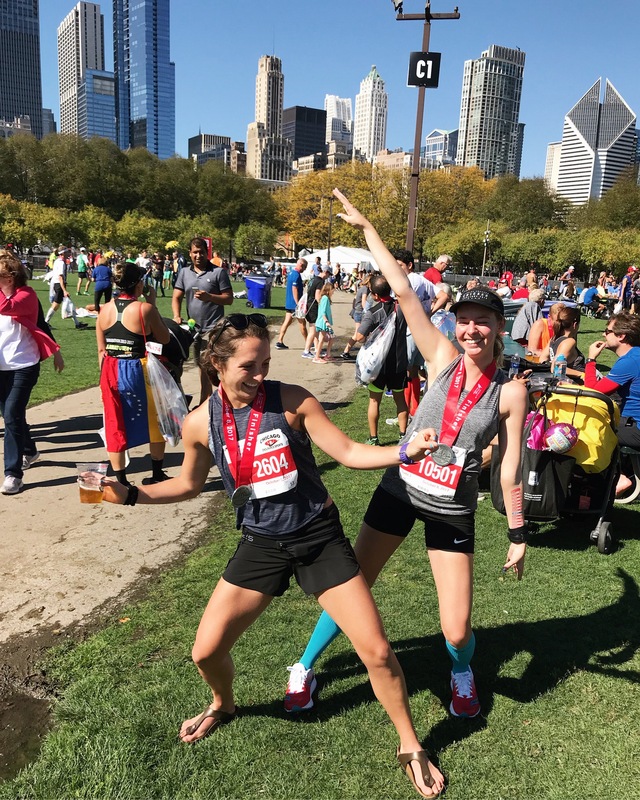 I knew I loved Chicago and I knew I had gotten much faster over the two years since my first Chicago, so I wanted that personal record. Going into this race my personal best was 3:53:33. It was the time to beat. I remember standing in that start corral next to a friend and looking up at all the buildings around me and feeling so at peace. The calmness I felt was almost unnerving, but I was just so excited to get to run my favorite course a second time. The early miles always fly by. It’s definitely crowded at first and I realized I probably should have started up a few corrals, but at least the density helped me pace myself. If you pay attention to the people as you go, you carry their energy. This energy helps me get through the race. The people on the sidelines are just as excited to be there as the runners. I love taking the extra time to take a look around at the wide range of people. It really is one of the reasons I love Chicago so much, both the race and the city. We’re diverse. We’re supportive. 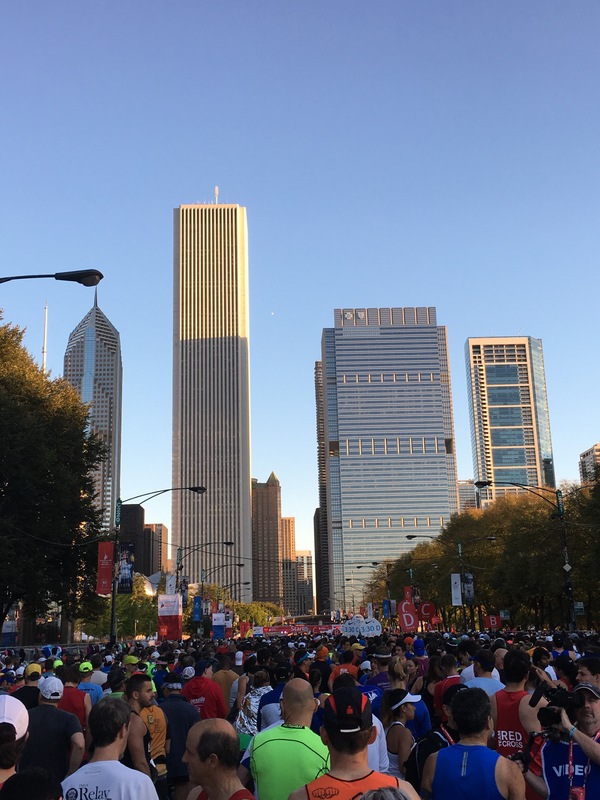 The Chicago Marathon is like a giant parade of all the good things in Chicago. I love how everyone comes together to celebrate accomplishments. It’s electric. I stayed with a friend until about mile 16 that day. We held around an 8:20 average pace, and I had in the back of my head that I would be able to run a Boston Qualifying time. I was definitely behind, but I felt so strong. I looked at her and said, “Should I go for it?” And she said, “Yes, but you need to go now.” So I went. I picked up speed. I fed off the crowd and the smiling volunteers at the water stations. I don’t think I stopped smiling for those 10 remaining miles. I was close. I hit mile 23 and I knew I had to run sub 8 minute pace for the rest of the race if I was going to finish in under 3:35. Could I do it?? I had to try. I ran a little faster. And then a little faster than that. I ran up the small (but huge feeling) hill at Columbus and could see the finish line. I had it. I cruised into that finish as the crowds screamed, tears in my eyes, strength in my legs. I crossed in 3:33:53. My first BQ time. If there was ever a race I was meant to run a huge personal best at, it’s Chicago. The flatness helps immensely. There’s no other day of the year you can run down the middle of the streets for 26.2 miles. That in itself is cool. The race honestly goes by so quickly because there’s so much going on. So was I done? Nope. 2017: I didn’t even have to enter the lottery. I now had a guaranteed entry time thanks to my performance from the previous year. My third start line was just as exciting as the previous two. I honestly was pretty nervous after recent events and I was incredibly thankful for the increased security. Chicago was going to keep us safe. I felt more at ease seeing how many people were supporting the safety of the runners and the spectators. I won’t give you the full 2017 story, but you can read it here if you’re curious. I had an amazing race. I laughed. I cried. I crossed in 3:28:30, a new personal best and a Boston Qualifying time for 2019. Chicago and I get along. 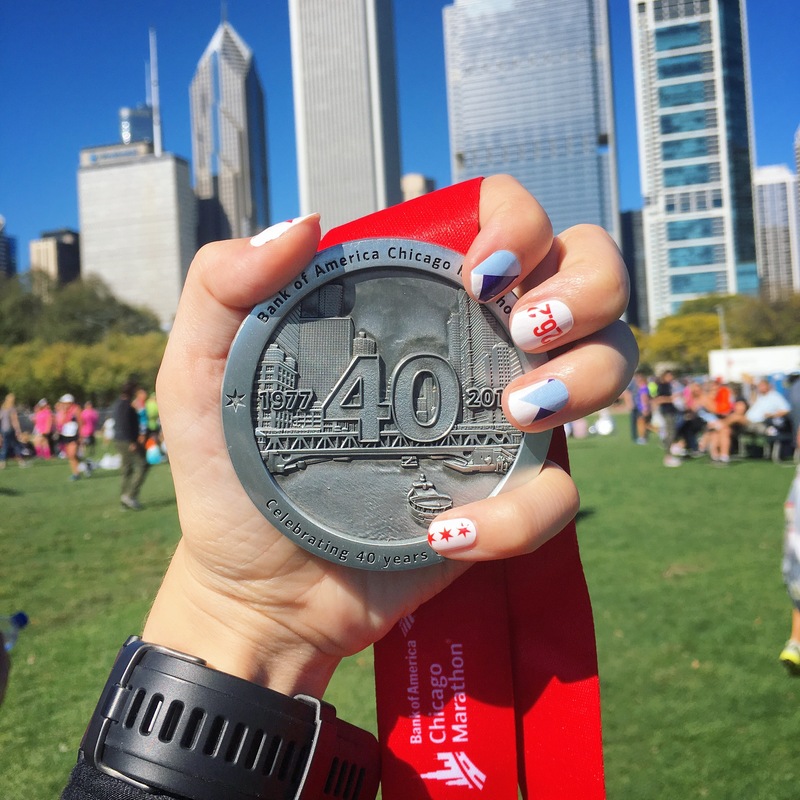 The Chicago Marathon has taught me I’m always capable of a little more. I have set a new personal best three races in a row. It isn’t luck. I put in the hard work each year, but I also think I learn a little more from the course at each race. I learn where I can lean on the crowds to carry me in. I learn where to look for my friends and family. I learn to follow the blue line so I run the tangents well. I’ll never be an expert, but I love that this race continuously teaches me and humbles me. You just have to take the leap to get to that start line and put one foot in front of the other. Take that first step and you can change your life. The Chicago Marathon is a race for the people. A race that brings out thousands of people wanting to better their lives and prove they can do something incredible. The city unites for it. 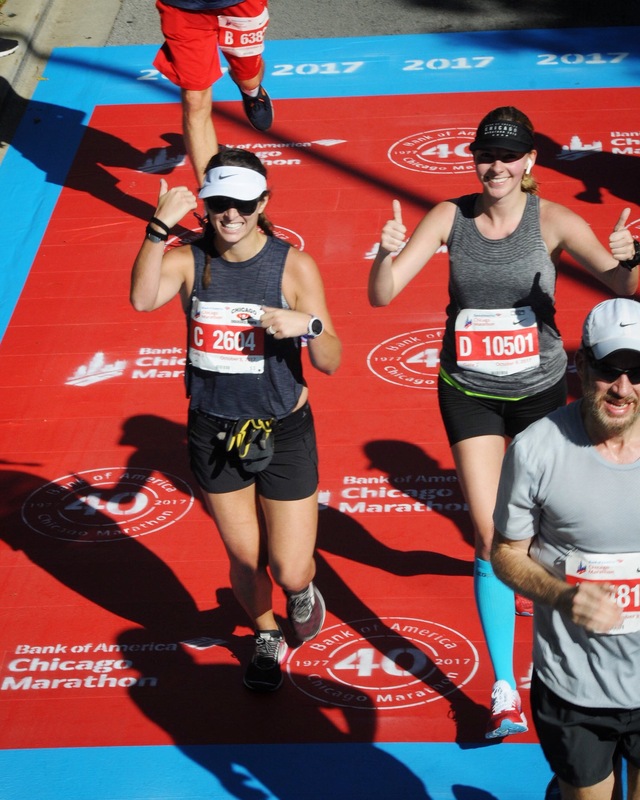 If you’re considering running your first marathon or a major city marathon, I don’t think you can miss out on Chicago. I keep coming back. Honestly, I don’t think they’ll ever get rid of me. It’s love. They say you never forget your first love, and I think that’s true of your first marathon. I was lucky Chicago was mine. Want to register for 2018? You still can. Go here.